Congrats College Grads! Are You Using LinkedIn for Your Job Search? You have your new degree in hand and your future at the forefront, so now what? Whether you’ve landed a job or are still weighing your options, LinkedIn can be an invaluable tool for your next steps post-graduation. We’ve pulled together three simple things you can do now to successfully transition from campus to career. 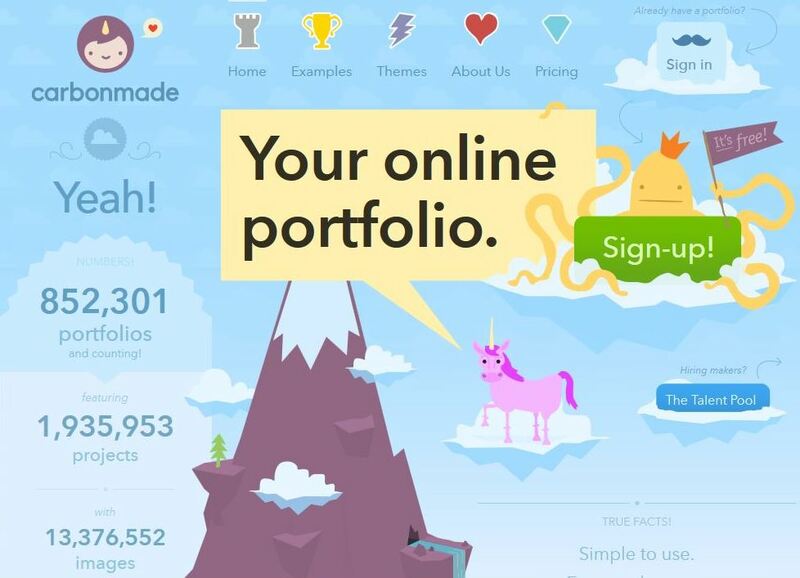 Make your profile your portfolio. Upload documents, videos and images to your LinkedIn profile to showcase your successes throughout your education. Share a presentation you gave in your business class, a video you produced for your film class, or an architectural drawing you are particularly proud of. Remember, a great profile not only ensures you are putting your best foot forward, it also makes it possible for recruiters and great opportunities to find you! Connecting with the great people you meet along the way will enable you to build a community of experts that will support you throughout your career. Need more ideas for who to connect with? Get some help along the way from People You May Know. 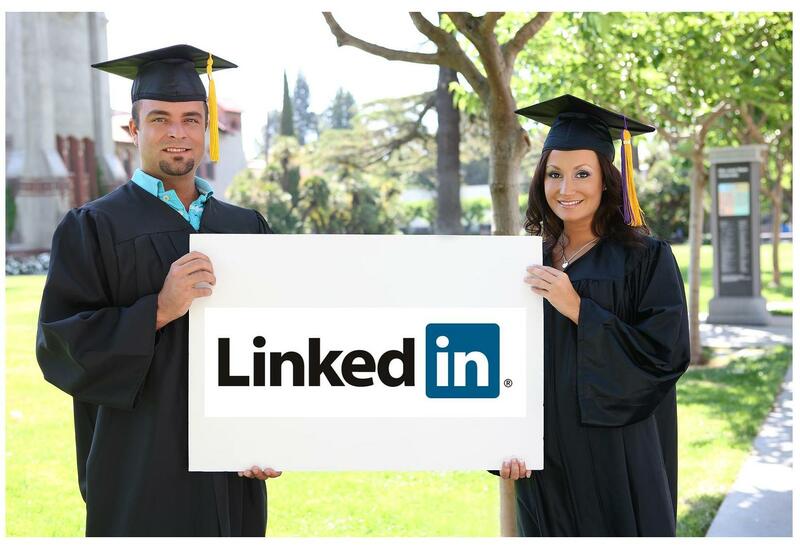 LinkedIn showcases the successes of your school’s alumni through features like the Alumni tool. You can see how someone went from the classrooms you attended to become CEO. Or, find people who graduated from your university who now work in the industries and companies you’re interested in joining. Once you have identified and connected with them, consider reaching out and setting up an informational interview. LinkedIn can be a directory of dreams, showing you where you can go and what you can do based on the success of others with similar professional pathways. For information about career direction and job search coaching, check out Success Discoveries’ Career and Success Skills Mastery for College Students and Recent Grads. Assessment and coaching packages start at $349 – special Summer 2013 offer. 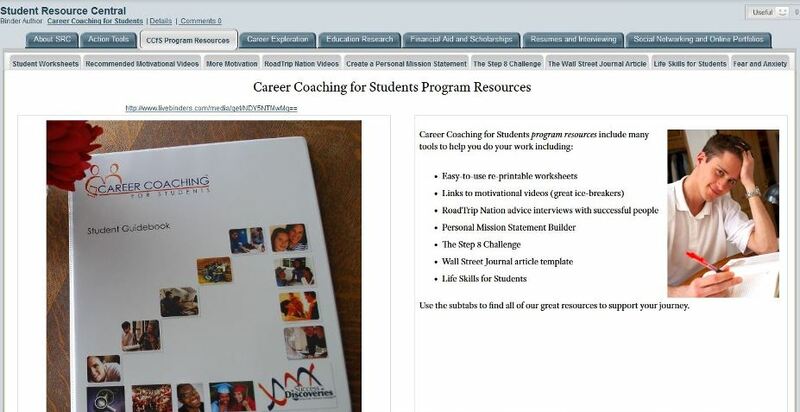 The Career Coaching for Students™ program has so much to it. Independent career coaches, high school counselors and college career center counselors are finding the assessments and strategies creating significant breakthroughs. We call this disruptive technology. 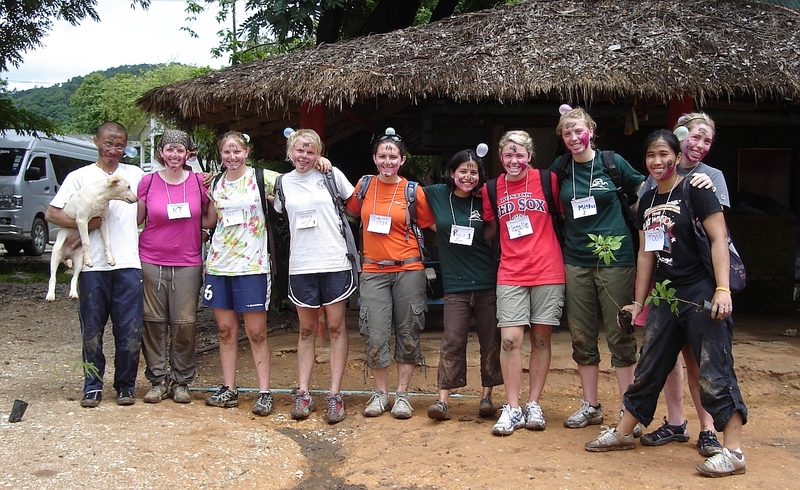 This article focuses on one part of the program that other programs minimize. Student Resources Central™ offers students and parents access to the best resources on the web. From career research, choosing a major, choosing a school, financial aid, scholarship research, college admissions and application process to the latest in resume portfolios, this portal to the vast unlimited resources on the web has it all. The website sprinkles advice throughout. The organizational layout enables the user to go exactly where they need to within two clicks. Below are screen shots of the main tabs. Each main tab has subtabs that offer carefully selected resources. Click on the screenshot to see a larger view to read the subtabs. Quality of information. Including the source, we don’t think it helps you to receive bad, biased, out-dated or partial information. Agenda-free. The recommended resources are not operating a marketing data collection site that will use your personal information to market their sponsors. Ease-of-use. There are plenty of web information pages. Just do a simple search on one topic and you’ll find millions of pages. Which are really worthy of your time? How much time will you have to spend shuffling through hundreds of pages before you get to the right pages of information? With SRC, you’ll quickly find your way through any webpage we direct you to. 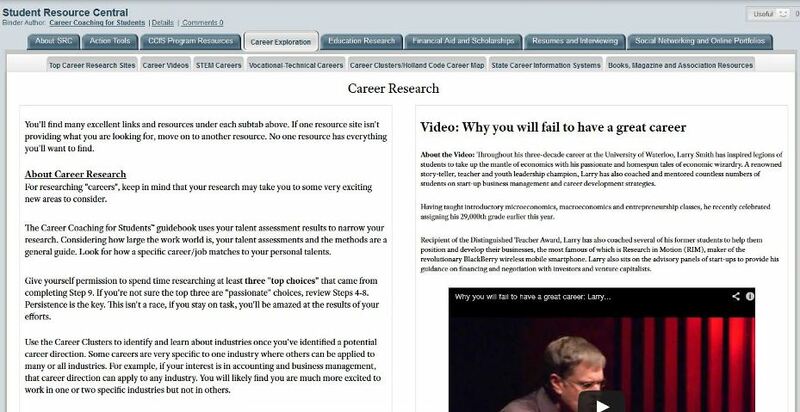 The most extensive Career Research portal on the web – and easy to use – including several extensive career video libraries. 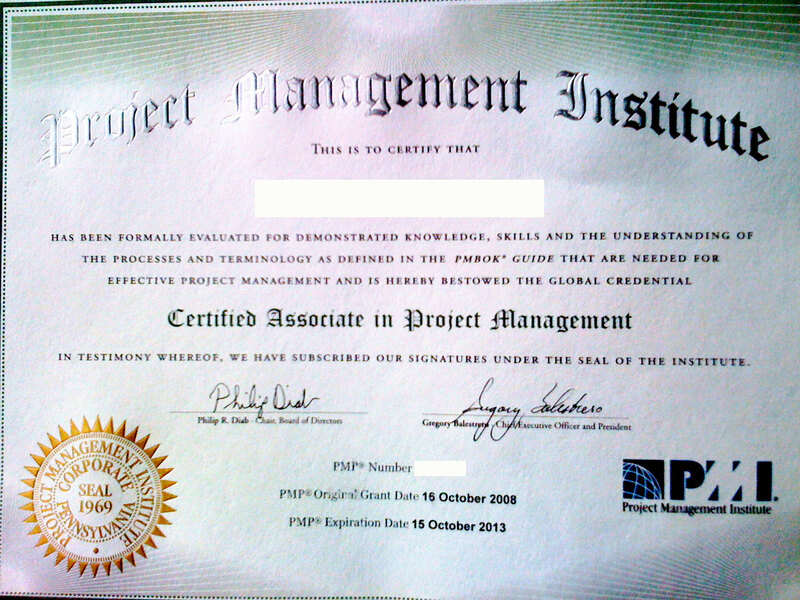 Straight scoop, how to and information with integrity is what the Financial Aid and Scholarship resources are about. 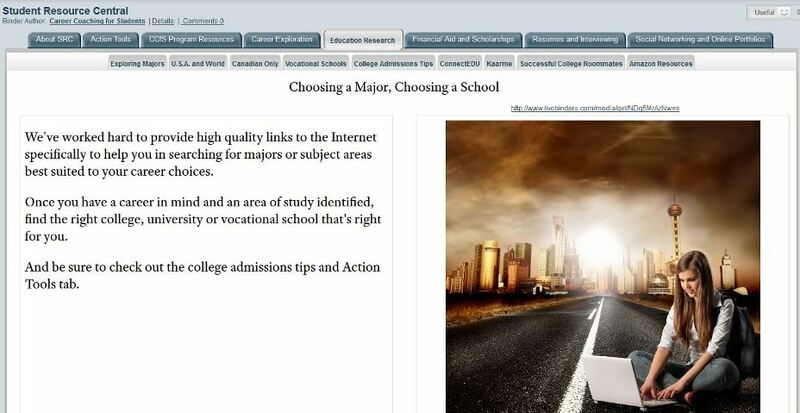 Most scholarship websites are nothing more than marketing websites. Not at SRC. 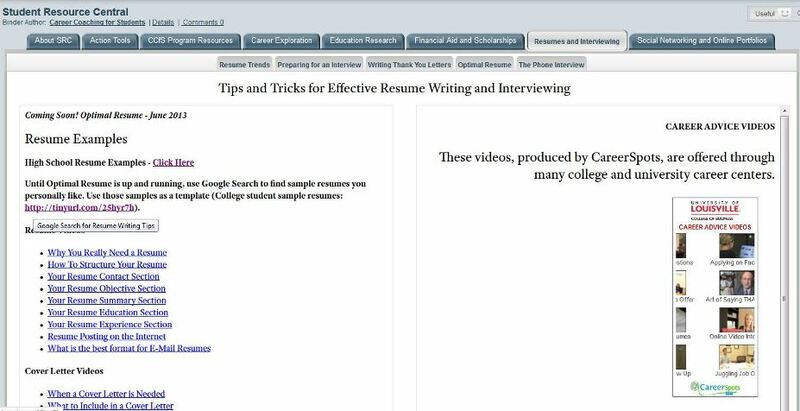 Writing a resume and developing interview skills are just the beginning. So much for you to leverage including career advice videos. Using social networking sites is key to career research, getting inside information about colleges and universities, finding internships and landing the first job out of college. 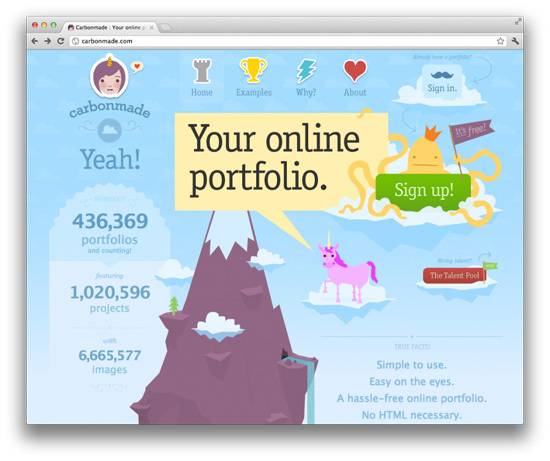 The latest in using Portfolios is reviewed with a list of free cloud-based portfolio apps. If all of that isn’t enough, Student Resource Central is including the Life Skills for Students™ program too – for the one price. 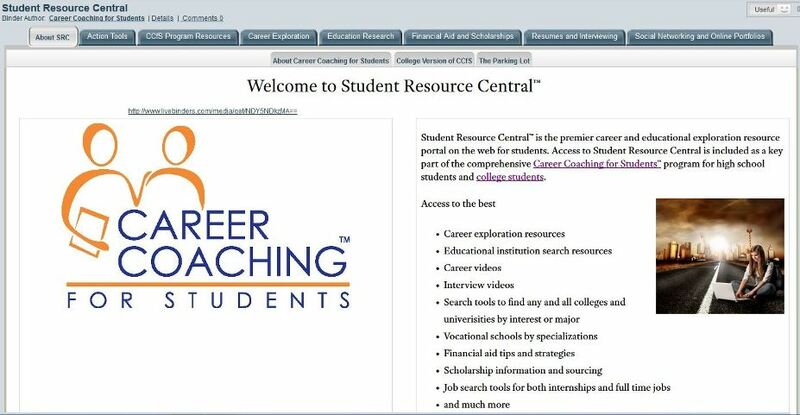 The good news is that if you’ve purchased the Home Study Personal Edition of Career Coaching for Students or engage one of the licensed facilitators for a one-on-one service or workshop in your area, you receive Student Resource Central automatically. Purchasing the full package is the best way to go. 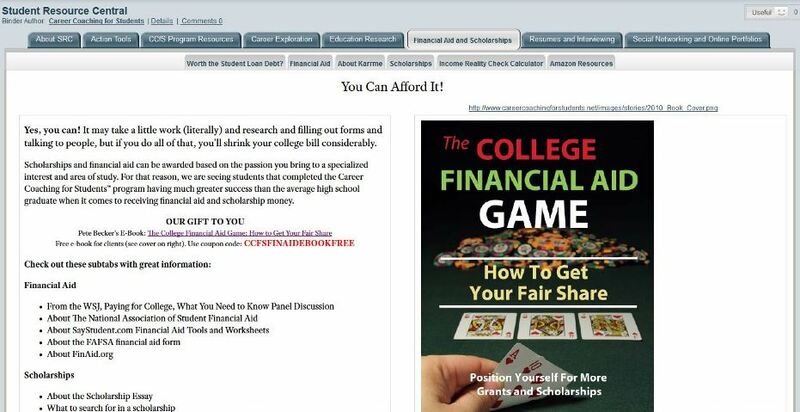 However, if you don’t want to buy the entire Career Coaching for Students program and receive the cool assessments and student binder, Student Resource Central is available, for a limited time, at a ridiculously cheap rate. The same rate applies for families or teachers wanting to use the resources for an entire class. After comparing to other offerings, it becomes obvious that those other programs are trying to do the minimum while maximizing profits. 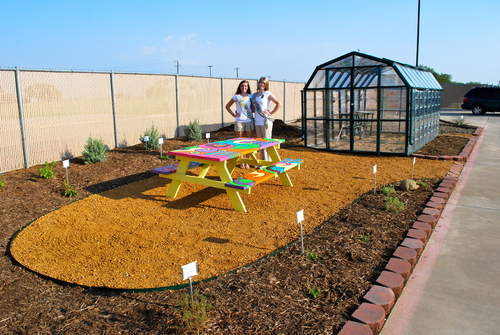 Student Resource Central – well – is just simple, common sense that everyone can benefit from. 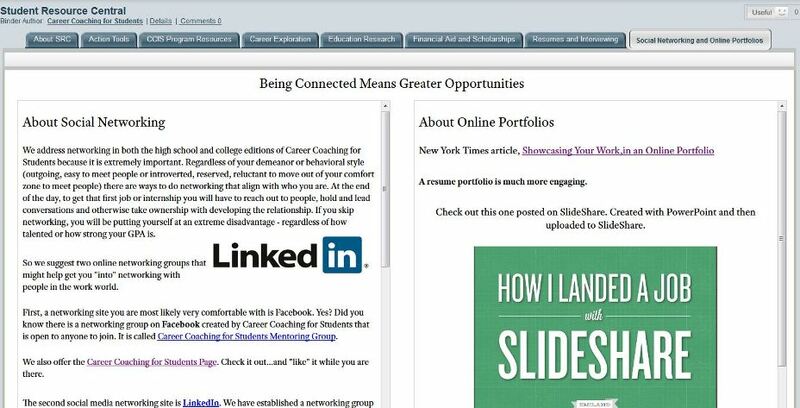 E-Portfolios – The New Resume for Students? The traditional resume is far from dead. You’ll need that for most internship or job applications. But many colleges and employers are wanting a more insightful (and creative) view of your talents – even if you aren’t in a creative major or profession. And you will want to stand out from the crowd. Creative professionals need a repository of work that shows engagement and abilities. This need to showcase creative work was the first application for e-portfolios. Whether you are focused on a creative profession such as photography or trying to stand out competitively as a business major, an e-portfolio is quickly becoming a popular and effective tool. Creativity is an asset valued greatly by any employer in any industry. A portfolio is a collection of work developed across varied contexts over time. The electronic format allows faculty and employers to evaluate student and applicants using technology, which may include the Internet, video, animation or audio. Electronic portfolios are becoming a popular alternative to traditional paper-based portfolios because they offer practitioners and peers the opportunity to review, communicate and assess portfolios in an asynchronous manner. Employers are starting to look at the portfolio as a means of assessing the total talent of an individual. Since we now live in the internet age where anyone can access anything anytime, it is imperative that you have an online portfolio. The only real problem is figuring out where to put your work – there are so many online portfolio tools and communities, it can be challenging to determine which one will work best for you. Many e-portfolio solutions are offered at no cost. Below are just a few that have different strengths. 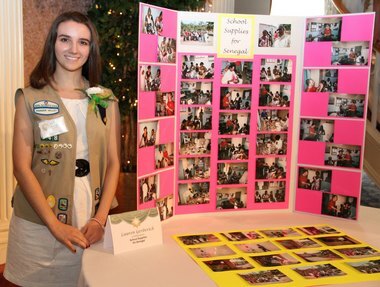 Online portfolios are an easy way for potential employers to view your work samples. The Internet makes it easier than ever to share your work samples. Include your portfolio’s web address on all job search communication. If you participate in online networking, add a link to your online portfolio. This will make it easier for your network to recommend your work to others. Organize your work samples thoughtfully as you would with paper portfolios, but take advantage of the Internet’s ability to link pages with one another. They may restrict how many files you can upload as well as the type AND size of the files. They may allow limited customization. There is no “one-size-fits-all” solution. Which you choose will depend on your needs, time, budget, and web skills. Carefully compare features to determine which one meets your needs. Free or subscription-based portfolios tend to allow larger and a wider range of file types. These files are uploaded directly to the host site. There are a variety of free portfolio options. Most are geared toward presenting graphic elements rather than text. These are ideal if you need to showcase work visually. Whatever your discipline or career direction, you can rest assured that there is an online portfolio tool specific to your niche waiting for you to create your very own portfolio and help you market and sell your talent. 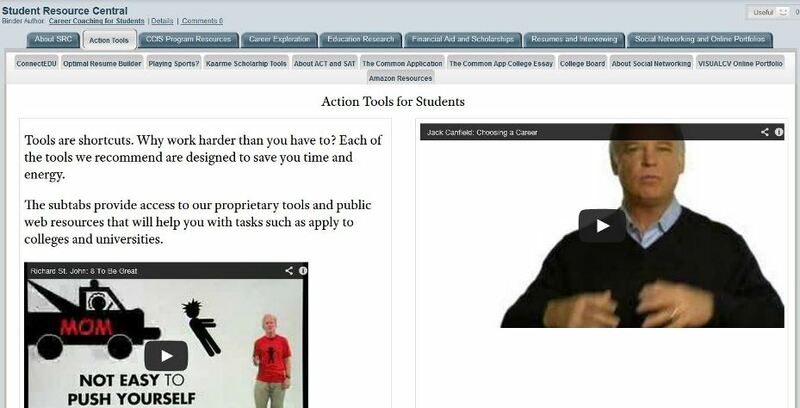 Carl Nielson is the creator of Career Coaching for Students and Student Resource Central, the most comprehensive one-stop resource for career exploration, major and education institution research and leading thought for students in high school and college.